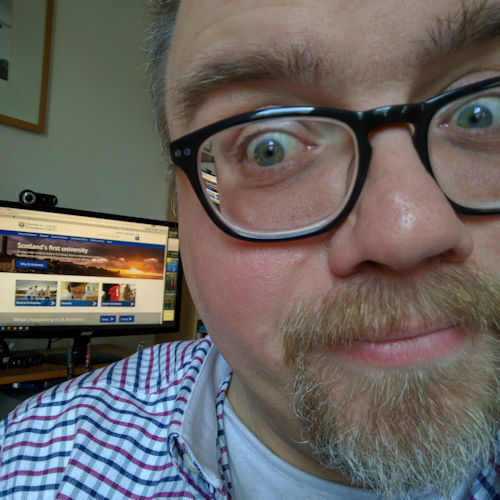 This week I are been mostly… herding cats. I’ve been working on the service rota for September. Currently at All Saints’, St Andrews we have around 11 people who can be on the service rota helping to conduct services. From Sunday 30 August to Saturday 3 October, which is what the September rota covers, there will be 40 services. That’s three on a Sunday plus one a day, except Saturdays. Priest A will not preside at 08:00, but is is happy to celebrate or deacon at the 10:00. He is happy to preach at the 10:00 two Sundays out of four, but only as a deacon not as celebrant. He cannot take any other services. Priest B can preside at the 08:00 but only on the first Sunday of the month. He is happy to celebrate or deacon two Sundays out of four at the 10:00 and preach one Sunday out of four (as either celebrant or deacon). He is available for Tuesday night or Thursday lunchtime. Professor C may preach but not preside, and only on festivals. Priest D can preside three Sundays out of four at the 08:00 but not at 10:00. He is available for Tuesday night (if required) but prefers Thursday lunchtime. Priest E. My first is in Episcopal but not in Anglican. My second is thurible but not in thurifer. Email people to ask for their availability for the next rota period. Text the one person who isn’t on email. Email draft rota for feedback. Print out and post draft rota for the one person who isn’t on email. Email second draft for final sign-off. Print out and post second draft rota for the one person who isn’t on email. Email final version. Print out and post final version for the one person who isn’t on email. And then the rest of the month is spent making tiny changes here and there depending on people’s changed schedules. The July rota, for example, is now on revision 20. It’s takes a considerable time. For example, I worked on it for about 30 minutes this morning, and this evening for about two and a half hours. Over the last week there haven’t been many days when I’ve not had to tweak the rota in some way. Folks go off sick, or have family crises, or swap with one another. Rotas are living documents that ebb and flow, merely suggesting who may turn up to lead the service. A serving suggestion, if you will. I do quite enjoy organising it and setting it out nicely on the page, but to be honest I am quite looking forward to handing it on when the new rector arrives in mid-September. I’m presiding on Sunday at 08:00, which will make it four Sundays in a row that I’ve been on. So that means preparing a short (five minutes) homily, plus intercessions, plus printing out the Bible readings in font size that is big enough for my myopic eyes to read. Then I’m not on again for 11 days. 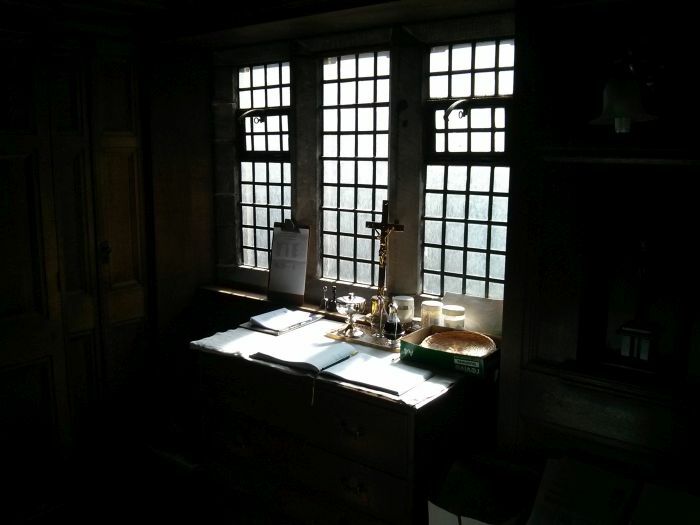 I love the light in the morning in the sacristy (clergy vestry) at All Saints’, St Andrews. Over the last few weeks I’ve been thinking that I need to blog more, and more than just music videos of Star Wars game demos (though those things are exciting me just now) but some real life stuff: what’s going on for me just now, where my energies are being spent. I was standing in church on Sunday, after the 08:00 Eucharist had finished, the congregation had left and stillness had filled the building once again when I remembered that a while ago I’d wanted to write about what being a non-stipendiary minister (NSM) means to me and what I do. So here I am, on the first of what I hope will be many posts reflecting on this. The first thing to clear up, I guess, is: what is a non-stipendiary minister? Well, it’s a minister, a member of the clergy, who is not paid a stipend. (How nice to be defined by something negative!) In the church, stipendiary clergy get paid a a kind of salary to enable them to carry out a role that the church has asked of them without the need for them to also go out and get a job to earn money to live on. There are all sorts of legal and tax—and I dare say historic—reasons why clergy don’t get paid a salary, related to employment status and whatnot but that is the crux of it: in order to be available 24/7 to carry out a particular role, the church pays some clergy some money so they don’t need to get a ‘proper’ job. Non-stipendiary clergy, like me, do the role without getting paid. Today we had our monthly clergy meeting, where the five NSMs who are currently looking after All Saints’, St Andrews get together to organise rotas, and worship, and share pastoral information. The meetings have only been going on since Fr Jonathan left in November 2014 and we were invited to keep things going during the Rector vacancy. I take the minutes for this meeting, usually writing them up on my laptop as the meeting happens which gives me less to do later on, and then emailing or posting them out in the evening. I really enjoy these meetings, which usually last up to 90 minutes. We ramble our way through a very loose agenda, taking many a detour but usually ending up back in the right spot. And there is quite a lot of laughter. Oh, and fellowship—Christians like to use the word “fellowship” when they really mean friendship and fun. 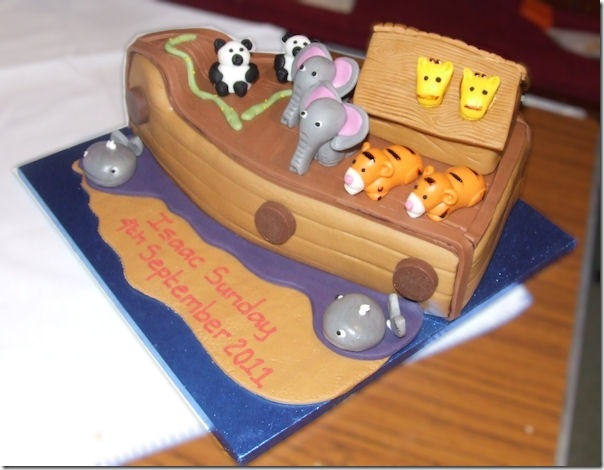 I’ve got a homily (a short sermon) to write for the 08:00 Eucharist on Sunday. I need to get started thinking about that today. I need to find the readings, print them out (so I can scribble on them), and read them over a couple of times. And I don’t ever look up old sermons that I’ve preached on those passages. Nope! Never do that. No, sirree! That’s one thing that I definitely don’t do. Erm… actually, that is something that I do. I also subscribe to the Midrash lectionary discussion email group which I find really inspiring. Update the website with service times for August. Update the 1970 Scottish Liturgy booklet we use at the 08:00 service, to include the peace. Type up and distribute clergy meeting minutes. Begin work on the September rota. Update and print a set of A5 booklets detailing saints days’ collects and short biographies. So, not much then… I’ll blog again later this week with an update and further reflections. Would anybody like to acquire the domain name taking-the-episcopalian.co.uk? It expires on Saturday 07 April 2012. Contact me if you would like me to transfer the domain name to you. In 1997 I began a two years course of studies at TISEC, the Theological Institute of the Scottish Episcopal Church, as well as an MTh in Ministry course at New College, the University of Edinburgh. It wasn’t long before I started editing an “underground”, satirical newsletter that did the rounds among fellow students and a few tutors, mostly at residential weekends. We called it Taking the Episcopalian. Its content was contributed to mostly by the full-time TISEC students, and also a few tutors. Taking the Episcopalian was fun, and it often relieved some tensions and made light of some of the politics, which in turn helped us to cope in a more light-hearted way. Residential weekends became our deadlines and there was always a flurry of activity in the couple of weeks before the weekend to get articles finished and the newletter typeset (in Lotus AmiPro) and a few copies printed. I seem to remember we would print only two copies to reduce the chances of it being discovered by… well, tutors who hadn’t contributed to the newsletter. After ordination, and as the world wide web became more popular, Taking the Episcopalian quietly moved online. As we weren’t aiming for regular publications, new articles were added more infrequently. We did, however, acquire a couple of new contributors from the Church of England, and began what turned out to be a very popular new series with images lifted from the pages of vestments catalogues. The feedback was mostly positive. Your work is brilliant and most welcome!! Thanks a lot for a lot of really good laughters ! 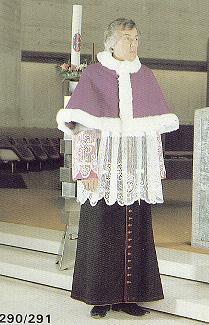 I specially enjoy the chasuble with a thermostat! During most encounters with my diocesan bishop he asked me when there was going to be more content; particularly more vestments. But not all the feedback was positive, and in the end I was strongly and politely ‘invited’ to remove the site completely; acknowledging that while I wasn’t the only person involved I was certainly the most public face of Taking the Episcopalian. Reuben and Joshua had not long been born and I simply didn’t have the energy to do anything else. The site had moved to WordPress.com by then so it was easy to mark the site as private and effectively hide all the content. That was three years ago, and I’ve not had the energy to do anything more about it. Occasionally I get asked about the site, mostly asking when it will be back. I usually say that I was asked to take it down, and that I simply don’t have the time or energy to do anything about it these days. It’s just not been a priority. I do wish that it had grown a bit more, but there you have it. If you would like to acquire the domain name then please get in touch. It’s currently registered with 123-reg.co.uk (and I’ve just noticed is still registered to my old address in Inverness) and is due to expire on 07 April 2012. Contact me if you would like me to transfer the domain name to you. You’d be welcome to (most of) the backlog of content too, if you wanted it. On Sunday morning we set off at 07:35 for Selkirk in the Scottish Borders—where I grew up, and where my Mum and sister still live—to celebrate Isaac’s baptism. We chose Selkirk because my sister is really unwell and is unable to travel long distances, and so wanting her to be a part of it we travelled to her, to the church of St John the Evangelist where I had been baptised around 14,450 days earlier. After the baptism the cake appeared: a magnificent Noah’s Ark cake <whisper>from Marks & Spencer</whisper>. Reuben, Joshua and Isaac were absolute stars the whole day, I was so proud of them all. A lovely day with friends and family, and many prayers of thanks to God.